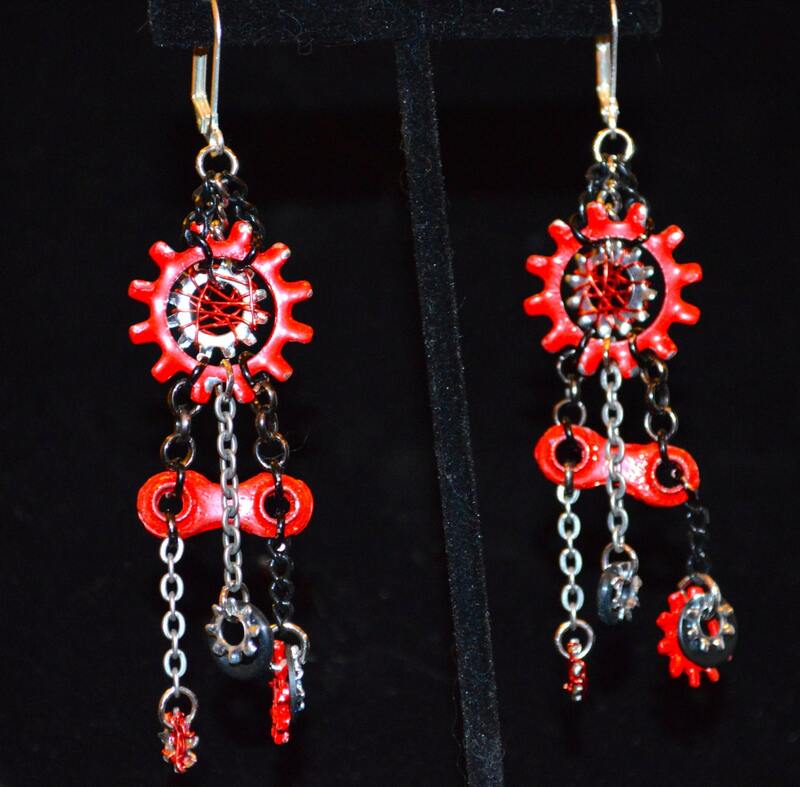 These one-of-a-kind bicycle chain earrings are made with recycled bike chain and assorted hardware washers that have been spray painted and wire-wrapped. 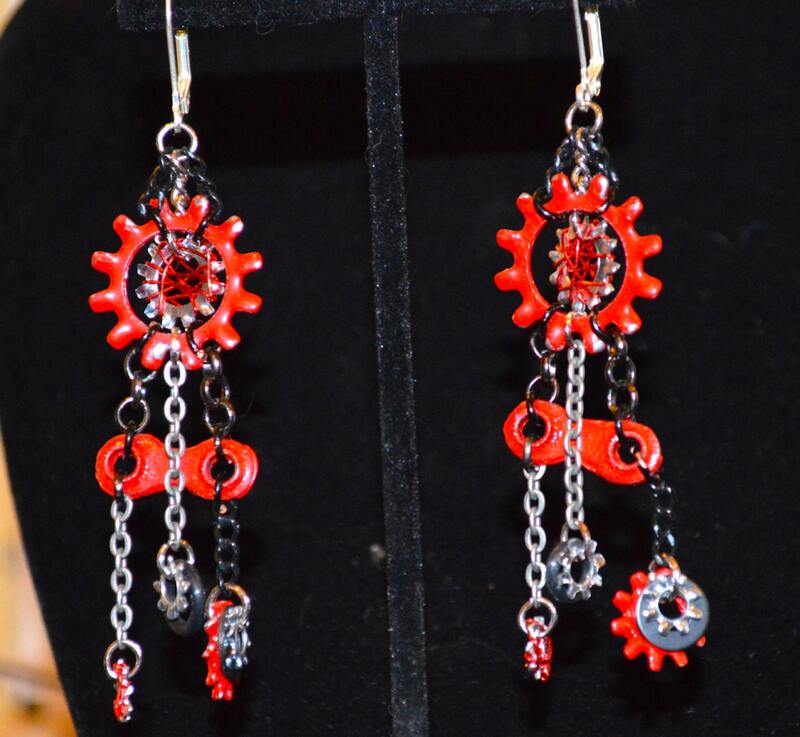 All bike parts have been donated or salvaged from my local bicycle shop and artfully arranged by yours truly. 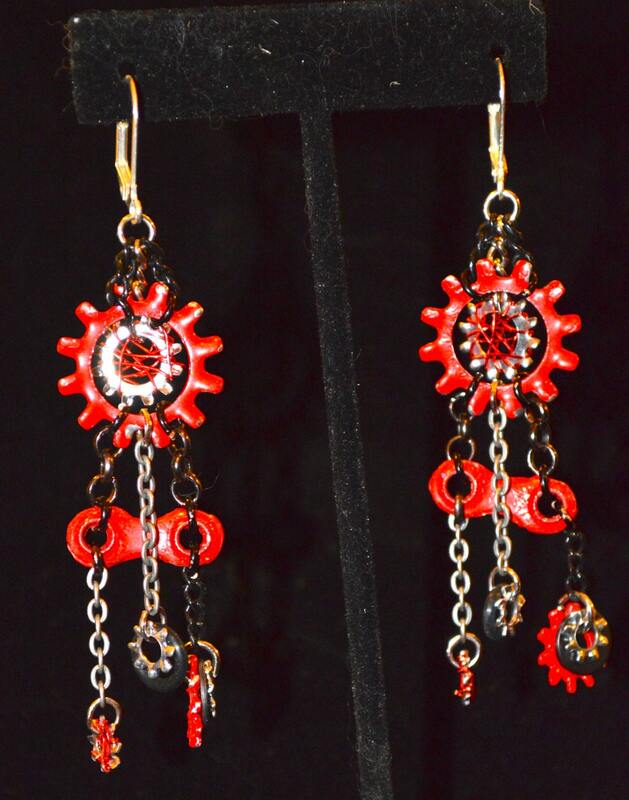 The pieces are hung from mixed metal chains which move freely to create a "wearable mobile."